Rob Collinge – Author of "Ancestors: A Tale of Two Worlds"
The date was 8 May 1900, the place San Antonio, Texas. The event was one of the high society weddings of the year, to be reported in much detail by the local press. Ella Theodora Koerner belonged to one of the leading families of the city, daughter of George Koerner, wealthy merchant and businessman. Wharton Rye Collinge was an Englishman from a cotton mill owning family in Lancashire, at least equal in wealth and social prominence to the Koerners. She was a descendant of early pioneers from Germany in a land where founding fathers were revered. He was a member of a family that had risen to heights of power and prestige during the heady days of the Industrial Revolution. Soon after their marriage, the couple set sail for England, there to lead a gilded life and to raise a family in a fine manor house, a world of servants and privilege, of comfort and security. But it was not to last – a World War would come and leave behind only the dust and ashes of their hopes and dreams. They were my grandparents. This is their story. 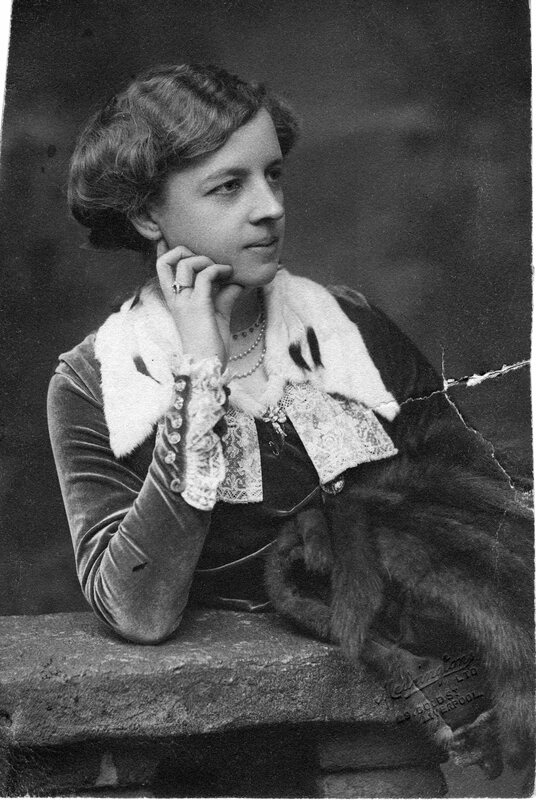 This photograph of Rob Collinge’s grandmother, Ella Theodora Collinge, as a young woman was found in the wallet of her husband Wharton at the time of his death in the First World War. Rob Collinge’s book is based closely on fact and is written in novel form. It is the product of four years of genealogical research using a range of investigative tools. Its span includes 1830s Germany, pioneer Texas, the Civil War, Lancashire cotton mills and World War 1. It also documents the present day discovery of half-siblings in Manchester and Baltimore and the fact that Rob’s mother proved to have been married bigamously for forty years to a man, Rob Collinge’s father, with three families on three continents. Genealogy, the search for one’s ancestors, has become in recent years a hugely popular pastime, enjoyed by millions. Vast, billion record databases such as ancestry.com and TV shows such as ‘Who Do You Think You Are?’ have sprung up in response to this fascination with the past. We are all descendants, we all have ancestors. Everyone has something to discover. Ancestors: A Tale of Two Worlds is aimed first of all at those who have taken up their own genealogical research and are familiar with its joys and frustrations, as well as those who may only yet have watched TV or listened to the experiences of others. It is aimed also at those with an interest in history who would appreciate a tale spanning the 19th and early 20th centuries as seen through the eyes of families whose fortunes rose and fell against a background of historic events.